It all started with the end of the Cold War and the downsizing of military services and air forces due to strained public finances in the former Eastern Block – the former communist states of Central and Eastern Europe. At this time, many former Warsaw Pact military aircraft appeared in the West or on the market for sale. One of the reasons was a lack of state control in the Eastern Block countries in the years after 1991 – or 1989, respectively. This led to a lack of control and chaos. Given the huge amount of military hardware that these countries owned, including nuclear weapons, this was a very dangerous situation. Corruption and unscrupulousness was widespread, things just „vanished“. A former Swiss pilot who made a fortune by buying Aero L-39 Albatros jets and selling them in the west, mainly in the US, told MiGFlug: „In some countries those who were in the positions were just trying to earn something from the diminishing stock of military equipment. In the Ukraine for example you could give them a waggon full of potatoes, they would give you an L-39 in exchange. “ This was at this time modern jet, it was produced until 1999! And it was a multi-million trainer and light attack aircraft. 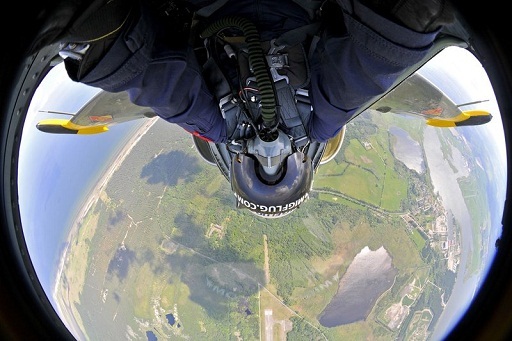 The Czech L-39 is still in use with many Air Forces today, but many of the 2800 jets produced have private operators today – and some of them are available for passenger fighter jet rides via MiGFlug. Another, more surprising path, is the jets made available for civilian fighter jet rides by state operators, in Russia. The jets made available included different very modern fighter jets of the 4th generation, such as Sukhoi Su-27 Flanker, Mikoyan MiG-29 Fulcrum and MiG-31 Foxhound. These incredible Russian fighter jets – top secret before, were now suddenly made available for fighter jet rides even to US tourists. It all started during the huge financial crisis in 1997, when the Russians tried to earn some hard currency from everything they had. Flights took place from Zhukovsky airbase, where the MAKS airshow takes place. Other supersonic jets available for flights at this time included the MiG-23 Flogger and the MiG-25 Foxbat. Luckily, flights are still available today, even though Zhukovsky is closed for civilian supersonic jet rides in 2006. Today, flights are available from Sokol airbase in Nizhny Novgorod. It’s from one of the production plants. MiGFlug was the first company to offer MiG-29 supersonic flights as well as Edge of Space flights there. The third possibility of fighter jet rides made available are associations and aviation clubs with the aim of keeping historic aircraft airworthy. MiGFlug has the same role here: We help operators to finance the extremely expensive jets. It’s not only fuel cost, but maintenance and spare parts also. Even though there is a lot of voluntary work included – these jets are still a black hole. „It’s easy to make a small fortune in aviation. You just start off with a large fortune“, and a fighter aircraft is not comparable with a small plane. Jets operated by associations include the Swiss Hawker Hunter or the Polish MiG-15. MiGFlug customers profit from the unique constellation – they can book rides in all these famous fighter jets. I am interested in a supersonic flight in a mig21 to do some extreme maneuvers such as a barrel roll or tail slide.Can u help with an idea of costs as well as a date that it could be done.i am using a pseudonym to prevent spam. !1. THE MiG-25 has man“ FACE more malevolent & BODY is a Lot stronger too. 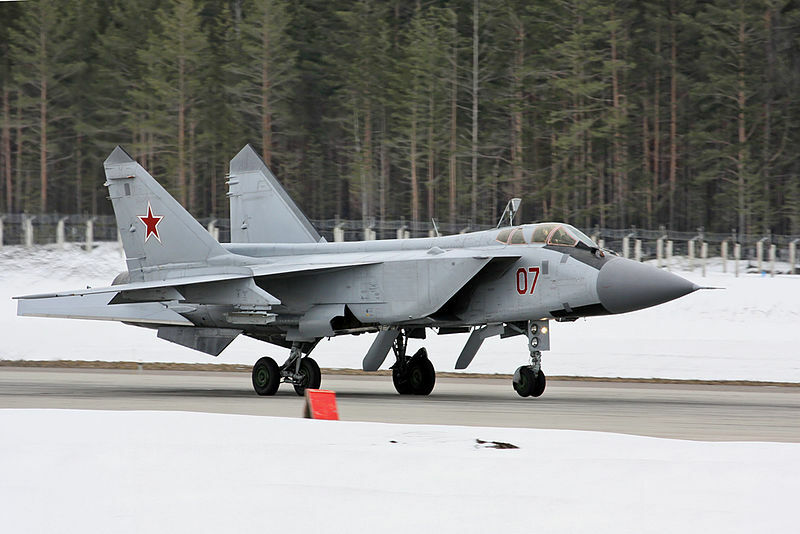 THE PLANE HAS MORE MUSCLE ON IT BODY OF MIG-25 aircraft too. He is gender full male too. H Human man is too. Do you agree. THE GENDER IS MAN TOO> TRUE!!! Like muscle male person too.! 2. THE FEMALE GIRL AIRCRAFT :IS , MIG -31 IS FEMININE GIRL IS (Female Body too) !!! LOOK BODY OF YOUNG LADY LOOK is the MiG-31TOO. It true: the Aircraft has Freemen body too. not as tough like the M-25 look too. IT TRUE! Look check it out your self too. HER BODY STRUCTURE IS female look aircraft too> it lighter Picture of the for example is MiG-31 too. Her GENDER look is Female too. it true! IT A Girl type Aircraft plane too. SHE IS ABOUT 30 YRS OF AGE Female Woman look too. agree. A young PRETTY GIRL too. with make up too. Agree!!! IS Female body of a woman too. it true!!! You can fly along in many of the jets featured in this blog. Check out migflug.com to book a flight in a MiG-29, L-39, Hawker Hunter and other jets. How much does a MiG-29 flight cost? What fighter jet rides locations are available? David bei MiG-41 – A new Mach 4+ fighter? Owen bei Which is the best fighter Jet in the World? Hoàng Khang bei Will UAVs displace fighter jets soon? © 2018 MiGFlug & Adventure GmbH. All rights reserved.